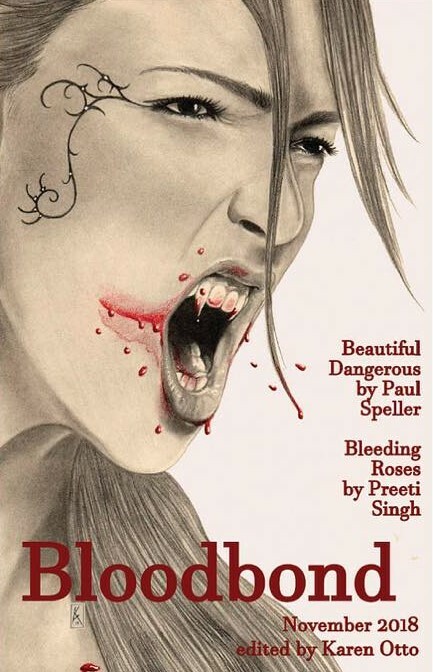 Paul Speller’s latest work of fiction, Beautiful Dangerous, has been published in the latest Bloodbond collection. Beautiful Dangerous tells the story of what happens when two work colleagues end up in a seedy nightclub and the alluring dancers are not all they might seem. Paul’s previously published stories have received literary recognition. Baby Blue Eyes won a national writing award, while The Curious Child featured in a compilation that was shortlisted for an Aurealis Award in Australia. Gallery | This entry was posted in News, Uncategorized and tagged Alban Lake Publishing, Beautiful Dangerous, Bloodbond, fiction, horror, vampires. Bookmark the permalink.